Sea Shepherd reports, 12th November 2014: “Last weekend brought an important milestone for sharks. On Sunday, 9th November, 2014 several shark species were finally granted protection under the Convention on the Conservation of Migratory Species of Wild Animals (CMS), administered by the United Nations Environment Programme (UNEP). The newly protected sharks include all three thresher species (genus alopias), the silky shark (Carcharhinus falciformis), and both the great (Sphyrna mokarran) and scalloped (Sphyrna lewini) hammerhead sharks. The new environmental protections are an important legal development that follows recent scientific studies suggesting a grim scenario for sharks. According to an assessment by the IUCN Shark Specialist Group (SSG), published in January 2014, of the world’s more than 1,000 shark and ray species, an estimated one quarter are threatened. 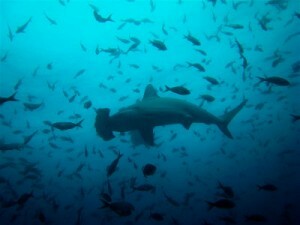 In addition, a 2013 study titled “Global catches, exploitation rates, and rebuilding options for sharks” suggests that between 63 million and a staggering 273 million sharks are killed each year, globally. A 2006 report also estimated that 26 million to 73 million sharks are killed annually just to supply the global shark fin market. These data are compiled in an official CMS resolution. The alarming decline in shark populations, long a concern amongst environmental activists, has been acknowledged in the world of science — and now by international law. 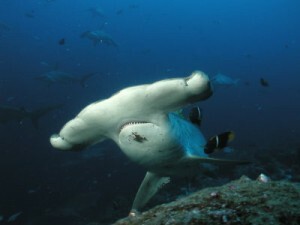 The shark species now provided protection will be listed in CMS Appendix II as “migratory species which have an unfavourable conservation status and which require international agreements for their conservation and management.” This means that countries whose territories include migratory routes for these species will need to, among other measures, co-operate in protecting, conserving and restoring migratory habitats, as well as to eliminate activities and obstacles which hinder or impede migration. For more information on CMS, please visit: Convention on the Conservation of Migratory Species of Wild Animals.